A Spring Training Clinic for Softball and Baseball for ages 5-13 (TBall, coach pitch, minor league & Little League) will be held Wednesday, April 24, 2019, from 5:30-7PM at the High School. Parents and coaches are encouraged to attend. We will have a session on practice plans, skill development and drills/training to do at home. 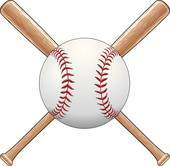 The clinic will focus on the fundamental skills such as: batting (stance, swing), bunting, fielding, throwing, base running, defense. In case of rain, clinics will be held in the HS and MS Gym (sneakers only). For info: Coach Funk (softball) at l.funk@ppcsd.org or Coach LoBrutto (baseball) at b.lobrutto@ppcsd.org. Sponsored by Pine Plains HS Softball & Baseball Programs.